What makes a Vinyl Fence a Worthy Investment? 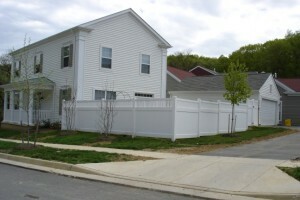 A vinyl fence could be the perfect fence for you. When it comes to investing in a fence, you will want something that will last while remaining attractive. One of the best options you can choose is PVC Vinyl. A vinyl fence is attractive and cost effective in the long run, making it a fine option for all homes. So, are you ready to learn more about what makes vinyl fencing an awesome choice? Let’s do this! Unlike wooden fences or even chain link, installing a vinyl fence is a snap. The parts are all ready to go right when they come out of manufacturing, so the only thing to do is put it together. This means that your new fence will be ready to go very quickly. This also means that there isn’t much room for human error during the installation. Maintaining a vinyl fence doesn’t require a great amount of effort on your part. All you really need to do is rinse it off with some water every once in a while. There’s no need to stain it or repaint it ever. Vinyl promises to save a lot of time and money in this way. There are plenty of different kinds of vinyl fences you can choose from to fit your home. Aesthetic is an important factor in deciding on a new fence. It has to match and look attractive. Vinyl fencing will do all that and more. Looking to invest in a vinyl fence? This entry was posted on Thursday, June 11th, 2015 at 5:18 pm. Both comments and pings are currently closed.